Since I started my professional career, one of the advice that I got from seniors and people whom I admire, was to read books. During my school days, most of my friends were reading fiction books and taking inspiration from them I started reading fiction books but I could hardly complete those. Fast forward to professional life where I got introduced to amazing people with various backgrounds and cultural biases, non-fictional genre caught my attention. With the vast resources available at various firms where I offered my services, I started reading about everything that I could find from entrepreneurship, human psychology to evolution theory. 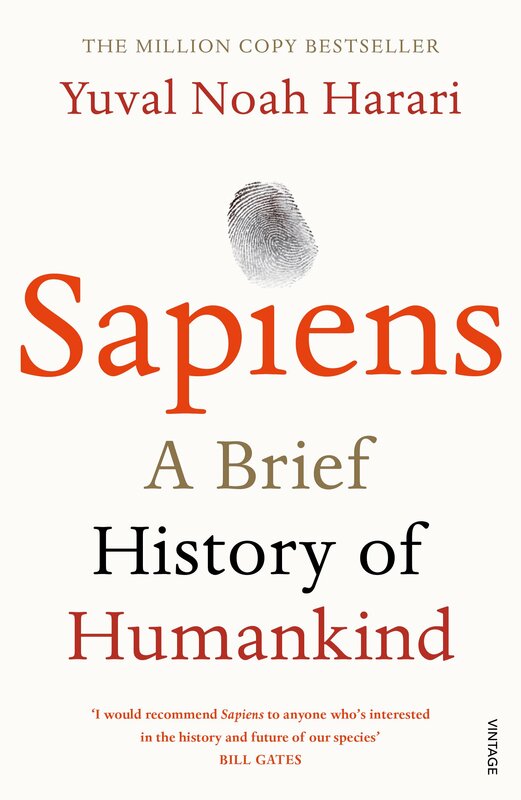 Recently I read Sapiens by Yuval Noah Harari and it had profound impact on me. It is a book about human history and evolution. It tries to answer some of the astute questions that is there today. What are the effects of all the four revolution? Can we free ourselves from our cultural biases ? Are we really happy today compared to our ancestors? For person like me who have little knowledge of history, this book is a masterpiece for me. It really changed the way I think about people from other culture, region and ideology, the way I think about my family & friends and most importantly the way I think about myself. Some of my favorite quotes from the book. Having understood(maybe partial) the human history and what shaped current generations, can we use this knowledge to build or at least shape better future for coming generations? Strongly recommended for everyone who would like to understand how history has shaped us in who we are today. Posted in Food For Life and tagged background, book, books, economics, evolution, future, history, knowledge, Life, masterpiece, reading, sapiens. Bookmark the permalink. You are the books you read, the films you watch, the music you listen to, the people you meet, the dreams you dream, the conversations you engage in. You are what you take from these. You are the sound of the ocean, the breath of fresh air, the brightest light and the darkest corner. You are a collective of every experience you have had in your life. You are every single second of every single day. So drown yourself in a sea of knowledge and existence. Let the words run through your veins and let the colors fill your mind. So enjoy the journey called LIFE. Posted in Food For Life and tagged air, beautiful, books, breath, Bright, conversation, Dark, dream, engage, existence, fresh, goal, knowledge, Learn, leh, Life, live, meet, Mind, music, People, reach, Reason, song, words. Bookmark the permalink.